Dustin and Jessica met at IPFW during a math class... but let me back up a step and tell you how Dustin proposed. After one of his football games, he came off the field and got on one knee where he popped the question in front of everyone! Isn't that the sweetest thing?? For their engagement session, we actually went into the very room at IPFW they first met in and took some photos in that room... which I thought was pretty neat and sentimental. 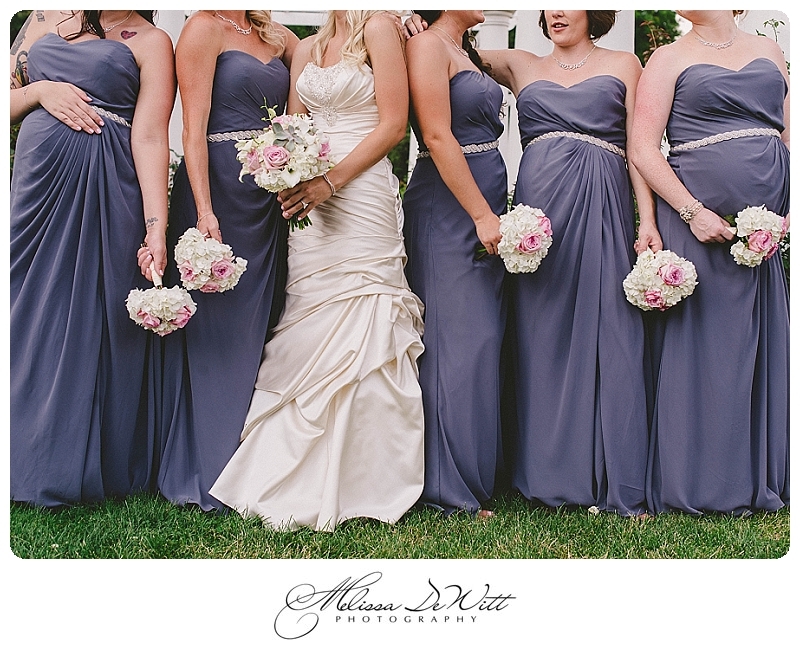 I have known Jessica for quite some time and have enjoyed watching her wedding process unfold. All her details were beautiful, the colors were so soft and elegant. Their wedding day was beautiful as well and days before their big day we all were keeping our fingers crossed for no rain! Mother Nature was nice to us, minus the heat, but no rain! We had full sun during all their photos (which if you are a photographer reading this you know how we just love full sun, right? ;) ) BUT we did have a pretty little sunset during the reception! I'm so happy they let me pop them outside to snap a few shots during sunset! Jessica and Dustin, THANK YOU for letting me capture your wedding day. I hope you two are enjoying your honeymoon in Jamaica! !